Cradles to Crayons has a new home! With a goal of supporting 100,000 children in the Greater Philadelphia region annually, we have found a new warehouse location which is easily accessible from major highways, includes 60 free parking spaces, and will increase our physical space from 16,000 to 25,000 square feet so that we can host more volunteers and help more children than ever before! Why is this move and expansion imperative? Philadelphia has the highest rate of deep poverty in the nation. The need has never been greater, and the demand for our services continues to grow. We need your help. Construction is underway and we hope to move this spring. Please help fund this growth so we can reach more of the children who need us. 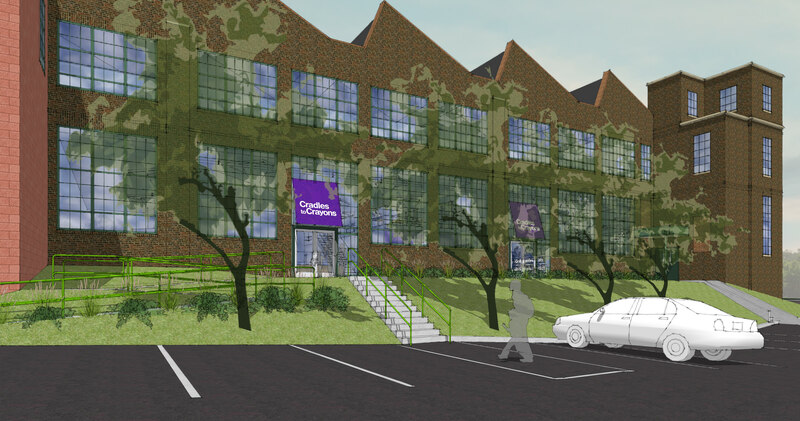 The new Cradles to Crayons Philadelphia Giving Factory will enable significant growth to further our mission, allowing us to serve up to 100,000 children annually, while engaging 32,000 volunteers. You can find more info on our Frequently Asked Questions (FAQ) page. Watch for additional details as we get closer to making this move a reality!